I will forever count this as cross training. Monday, August 1: 6 miles in 1:01:43 (cutdown run) for an overall 10:16 pace. Another week, another round of endless rehearsing of the same combos. We have graduation this week, and I’m really glad, because I’m sick and tired of doing the same thing over and over and over again. Wednesday, August 3: Strength training. I was thrilled to wake up Tuesday morning to an NTC app update, which, according to the description, allowed you to “Easily find NTC Classic workouts” and had “New Workouts added, including Yoga.” Since my two of my chief complaints about the updated workout were 1) all the old workouts had been eliminated and 2) there was no more yoga, I figured this would solve all my problems. Well, not so much. None of my favorite workouts came back (*sheds a solitary tear*), and while they did add yoga, the yoga they added is so minimal it’s barely even worth it. But it’s a step in the right direction, so hopefully it’s only a matter of time until I’m reunited with Transformer and Heartbreaker and all my other old favorite workouts. Anyway, on Wednesday I did Slim Chance 2.0, which I liked MUCH better than No Speed Limit, the workout I did last week. This one actually made me feel like I got a really good workout in 30 minutes, and I could certainly see myself doing this one again. Thursday, August 4: 4 miles in 43:01 for a 10:44 pace. This was a HOT one. Oh man. It was 90 degrees and h.u.mi.d., but I chose to run outside anyway because gosh darn it, I am SO sick of the treadmill. I took it pretty easy on this run because of the weather, so I was quite surprised to average a 10:44 pace. Saturday, August 6: 12.18 miles in 2:06:41 for a 10:23 pace. *insert praise emoji hands here courtesy of the weather* It was finally neither hot nor humid for a long run, which was SUCH a nice change of pace after the past few weeks. My CARA group ran 11 miles, so I ran an extra mile beforehand to hit my mileage. While running my first mile, I was joined by another CARA runner from the 9:30 group, and we chatted a bit. 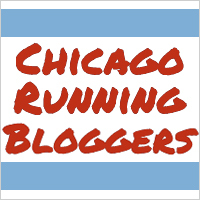 He’s doing both Berlin AND Chicago this year, which makes me feel less crazy about doing Fox Valley and Chicago, since at least I have three weeks between marathons instead of two, like that guy. I ran with a newbie in our group (newbie to our group/the marathon, but not a newbie for the week. He’s been there all season) and we had a nice chat as well. I tell you, nothing makes the time pass quite like having someone to talk to on a run. We messed up the turnarounds and had to do some extra mileage to hit our 11 (my 12), which meant we did a lap on the Wilson track. That was a first for a long run! I’m a little concerned about training this week. While I should have no trouble getting in a workout on Monday (or Tuesday, with dance), Wednesday and Thursday are going to be much more challenging, and I really don’t know how on earth I’m going to find time to run/strength train. I suppose that’s bound to happen at some point during training, but it does still make me a bit uncomfortable. We’ll see what I’m able to do, but hopefully my mileage won’t suffer too dramatically. Hahaha tell me about it! I hope I never have to spend as much time on my feet during a marathon as I spend at Lolla!